Tele-Infiniti – Just Un-Plug... and Play! Tele-Infiniti is now available for Thought Technology's 2 and channel data acquisition systems: ProComp2 and MyoTrac3. The thumb sized telemetry unit attaches to the cases and transmits data to 10+ meters (30+ feet)- useful for sports applications, where the light and durable standard fiber-optic connection will hinder a golfer, archer or shooter. “Combining telemetry with Thought Technology’s encoders allows us to monitor a shooter’s physiological activity in real time, so as to identify maladaptive breathing patterns, muscle tension and thoughts that interfere with ideal performance. We can then intervene and coach our athletes in real time. By reviewing the saved data with the athletes, we can help them alter their position, breathing patterns and thoughts to enhance their performance. Thought Technology’s latest range of products is a QUANTUM LEAP for athletes and others who are looking to improve their performance". Thought Technology is pleased to provide our customers with the Infiniti series of hardware, software and Suite packages. They have been designed to maximize your investment. Simply add sensor modules, and you are ready to go. The Suites are a grouping of channel sets, screens and scripts created to make the most of the encoder for which it was designed. Some Suites, such as DynaMap, are designed to include all encoder types and include channel sets, screens and scripts with specific designs for each encoder. The ProComp Infiniti system, with 8 simultaneous feedback channels, includes the BioGraph Infiniti software, the EEG or Physiology Suite - $3995 (w/o Sensor modules). The ProComp5 Infiniti system, with 5 simultaneous feedback channels, includes the BioGraph Infiniti software, the EEG or Physiology Suite - $3150 (w/o Sensor modules). The FlexComp Infiniti system, with 10 simultaneous feedback channels, includes the BioGraph Infiniti software, the EEG or Physiology Suite - $6500 (w/o Sensor modules). The MyoTrac Dual Infiniti Clinical system allow you to measure 2 Channels of high-resolution surface electromyography (SEMG) and perform electrical stimulation in a large number of configurations. $2500. The MyoTrac 3 - T9920 Dual Channel sEMG biofeedback device allows clinicians to monitor two muscle sites simultaneously. It is excellent for vaginal and rectal biofeedback. $2000. The UControl home biofeedback system for Incontinence $350. Note: All Procomp and Flexcomp systems will include the 360 Suite. BioGraph Infiniti Software is the core of all our Biofeedback and Psychophysiology products. It provides a multimedia rich graphical experience, while capturing and analyzing raw data. It also includes all the features and functions required to run our specialized application Suites. An application suite is a grouping of screens, computations and protocols designed for a particular application. Each one takes full advantage of the latest functions and features of our powerful multimedia biofeedback software, like DVD movie control, and provide complete control over your entire clinical process, from assessment, to training, to reporting and demonstrating outcome. An applications suite is also created to make the most of the encoder for which it was designed. The EEG Suite includes new coherence training screens with dual-threshold range training. It offers over 80 display screens for many standard EEG protocols, including an outstanding alpha-theta training screen and a number of template-style screens for training with 3, 6 or 10 user-defined EEG bands. The standard protocols can be used for training alpha amplitude (range), alpha peak frequency, alpha theta, beta amplitude, SMR amplitude, theta beta, theta SMR and wide band inhibit. The Z-Score 6 Suite includes everything you need for two and four channel z-score assessment and training. Individual z-scores, metrics describing the overall state of a number of z-scores, as well as z-score with standard EEG band amplitudes in parallel. All this with the feedback features of BioGraph Infiniti including DVD playback, AVI Animations, and single and dual monitor displays. Take advantage of the full power of BioGraph Infiniti by using Quick Start favorites, which allow you to start a session, review, report and analyze statistics with the click of a single button or even a desktop icon! The Stress Control Suite is a set of simple tools, which are designed to help you do biofeedback therapy with your clients even if you have little or no experience with biofeedback. The tools in this suite will help you assess your client’s physiological responses to stressful situations and become aware of any abnormal patterns when they recuperate from stress. The Physiology Suite includes all the tools you need for multi-modality physiological assessments and over 80 display screens for training with standard physiological sensors including heart rate with EKG or blood volume pulse (BVP), electromyography (EMG), skin conductance, temperature and respiration. Using the Physiology suite, you can train self-regulation with physiological biofeedback protocols that include relaxation with EMG, temperature or skin conductance, heart rate variability with respiration and EKG or BVP and abdominal/thoracic breathing. The Rehab Suite combines Thought Technology's powerful BioGraph Infiniti software with specialized protocols, tutorials, screens, animations and statistics, designed to provide customized clinical treatment for your clients. Its flexibility in all aspects of its use, from recording options to protocols and sound and visual feedback, will enable you to reach new levels of treatment. Reaction Time Suite (NEW) The Reaction Time Suite includes both continuous performance testing (CPT) and real sports reaction time training. The Reaction Time Suite takes standard CPT protocols (single, variable and choice) to the next level by combining reaction time data with time-locked EEG and physiology data, to allow direct linkage of response type to mind and body activity. The suite also includes training capabilities and offers unprecedented accuracy. The real sports reaction time protocols are designed for biofeedback training in sports that demand quick reactions to trigger events. It includes screens for baseball, tennis, soccer, track and field, ice hockey and more to train for higher batting averages, better serve returns, more accurate penalty kicks, faster starts, and higher face-off percentages. Features use of push buttons, foot pedals and even raw EMG sensors, to simulate real sports actions by using EMG from muscle contractions to respond to events! Highly accurate, time-locked EEG, physiology and EMG allow in-depth analysis of mind and body activity during sports reaction time training. The DynaMap Suite is focused on SEMG with a wide variety of different applications. It also incorporates other modalities, including Goniometer and Force, in some of the channel sets and screens. The Suite is designed to be used on ProComp Infiniti, FlexComp Infiniti and ProComp2 systems which support BioGraph Infiniti software with channels sets to maximize the features of each. CardioPro Infiniti is a specialized off-line analysis module which brings advanced heart rate variability (HRV) analysis capabilities to the BioGraph Infiniti platform. It complements any physiological biofeedback suite (such as the Physiology suite) by providing sophisticated data analysis methods that were only previously available in very specialized software packages such as Thought Technology�s CardioPro software. This product adds the power of the Z-score Biofeedback Library to BioGraph Infiniti, allowing you to analyze normative data in real time. Obtain faster results when combining z-score biofeedback with BioGraph Infiniti, as the power of connectivity assessment and training is all available in one place. Fast, easy training with the same strategy every time: train towards norm. For use with EEG Suite, Z-Score Mini-Suite (NEW) or Developer Tools. BioFun Games make physiological training fun and challenging! BioGraph-X Infiniti add-on (200+ animations) is offered by Thought Technology to enhance your training sessions. The add-on is compiled of a variety of animations from nature, to fractals and games. In addition, there are animations that when placed side by side will appear as one, such as the multiple car race, allowing the clinician to link each animation to a different criteria and have the client compete against their self. 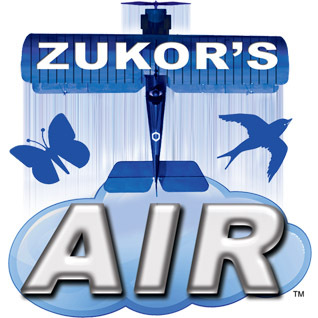 Zukor's Grind is a next-generation feedback game for use in neurofeedback and biofeedback designed by professional game developers under the guidance of clinical practitioners. It benefits neurofeedback and biofeedback clinicians by giving them an unprecedented level of control of the patient feedback experience to increase both treatment efficacy and patient retention. 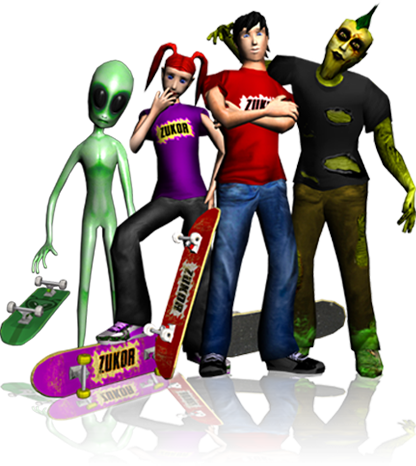 The youth-oriented graphics and skateboarding theme are perfect for use with teens, pre-teens, young adults, or anyone that is young at heart. The EKG Receiver detects the heart rate of a user from the Polar™ transmitter belt that the user wears around the chest. Polar™ transmitter belt is not provided by Thought Technology and must be purchased separately. Included at no charge with every Infiniti System purchase, Developer Tools provide powerful editing capabilities for to create new channel sets, customized display screens and automated session scripts that can significantly expand your biofeedback and data-acquisition horizons! Developer tools often include features that are not yet available in an applications suite, so that developers can benefit from cutting edge functionality sooner.